Dasha Rush has followed a meandering pathway through electronic music in the 10 years since she began her production career. Nearly the entirety of it self-released, she has combined ambient, experimental ideas and techno, with a seeming disregard for standard ideas of functionality. Originally hailing from Russia and playing gabber in places such as Japan, London, and importantly Paris, Dasha's initial influences would later bring her to her current sound. It didn't hurt that her work earned quite quick notice from the right quarters; Hard Wax and Adam X were both early supporters. Adam's influence deepened when he released a pair of EPs on his own label Sonic Groove in 2010 and 2011, during label's resurgence to prominence alongside releases from Orphx, Ancient Methods, Henning Baer, Northern Structures, amongst others. Firmly out of step with the minimal sounds current in 2004, Dasha's ideas didn't need updating to keep in touch with the deeper, more experimental techno that formed the next wave. Importantly, she had always been an ambitious artist on her own right, dividing her 2005, acidically-titled Forms Ain't Formats into three vinyl parts named after shapes while filling the album with music too abstract to neatly fit into categories then contemporary. Now appearing on the prestigious Raster-Noton experimental imprint with Sleepstep – Sonar Poems for My Sleepless Friends, the latest chapter in her work finds her combining fragmented compositions with her own poetry and visual work on her longest and most complete experimental opus yet. If there's been a noticeable process of refinement towards thicker atmospheres in Dasha's work over time, the product simultaneously of a decade of studio experience and a general thickening of sound in techno, Sleepstep takes this to the logical extreme, but also mostly abandons the techno she had previously structured her ideas around. Given that the album is a conceptual piece addressing blurred boundaries between sleep, dreams, and wakefulness, its often-ambiguous, shifting tone and dreamlike juxtaposition of more concrete and sparser moments with somnambulant, texture-driven rhythmic pieces is evocative of the territory she is attempting to illustrate. Short, spoken passages have the effect of rousing the listener towards alertness, while the more extended instrumental pieces, like the dusky 'Lumiere Avant Midi', with its striking melodies and shifting textures blurring the lines between instrumentation and atmosphere, pull in the opposite direction, lulling towards hypnosis. As the album moves into its midsection, things become more vague and delineations more muddled; voices, atmospheres, and instruments dipping in and out of a strikingly organic fog of electronics. The opening six pieces are all completely ambient or decidedly downtempo, with large passages of vocals arriving towards the end of 'Scratching Your Surface (Revisited)' and dominating 'Dance With Edgar Poe' completely. It climaxes around the halfway point, with a pair of eight minute-plus efforts, 'Abandoned Beauties And Beasts', the most recognisably techno piece here, still twisted beyond easy recognition with its jagged breakbeat disguising a square metre, and the subsequent 'Lumiere Avante Midi'. Her preference for strings and bare piano melodies, both swathed in textured reverberation, provides both a good deal of the slowly eroding texture and the melancholic mood that permeates throughout. The last four tracks repeat the album's progress in miniature, a dream within a dream, and contain both the barest vocal performances and some of densest rhythms and atmospheres on the album. Dasha Rush's work to-date has most often landed in techno subdivisions, but the progress of her sound towards unclassifiable abstraction is none more so present than this. 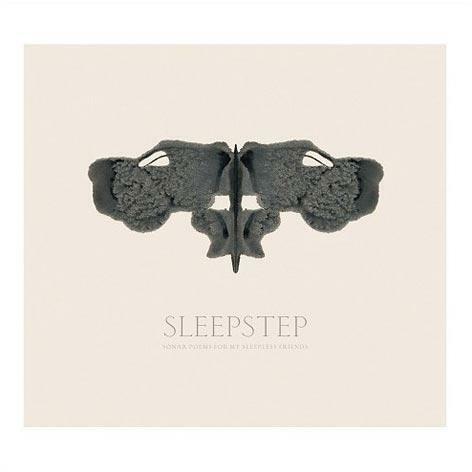 Sleepstep presents itself as a gesamtkunstwerk, making a more literate combination of the various extremes of her work than she had attempted before. Whereas her previous singles and especially albums would veer between genres and sometimes arrive at destinations but often land indistinctly in the middle, now the constituent components of techno, songs, theatre, pop music, dub, and other recognisable forms are convincingly drawn into a whole; her sublime grasp and melding of melody texture, and technical production is more present and more finely crafted than ever. Whether a matter of increased notice and thusly increased resources or simply an artist finding their unique voice over a prolonged period of development, Dasha's horizons have risen with her ambitions, and with the backing of influential historical operators like Raster-Noton, she has found room to spread her wings at a time when it matters most both to her artistic career and to her influence in general. Like many of the electronic and techno experimentalists emerging in Europe in the last few years, Dasha's track record is already a distinguished one, and surely with Sleepstep – Sonar Poems for My Sleepless Friends, it continues to grow.